Following our previous articles presenting an overview of Sword & Sorcery game system for newcomers and what’s new in the second season, Ancient Chronicles, let’s see the other new elements to be introduced in the game unveiled during the campaign on Kickstarter. Heroes' Nemesis: the dark side of the heroes. 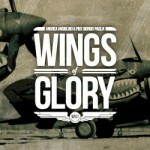 Heroes can be challenged to face an extraordinary opponent: their own dark side. Heroes’ Nemesis are the “twins” of the heroes, embodying their darkest thoughts and fears, the evil recesses of their souls. A Hero's Nemesis is a being of pure evil, with the destruction of the Hero as its only purpose, and skills and powers to match him. Read more in the Update 11 on Kickstarter. The familiars are a new type of faithful companions we mentioned in the previous article. Familiars are creatures creating a mystical bond with a hero, and one of them will be included in the core set. 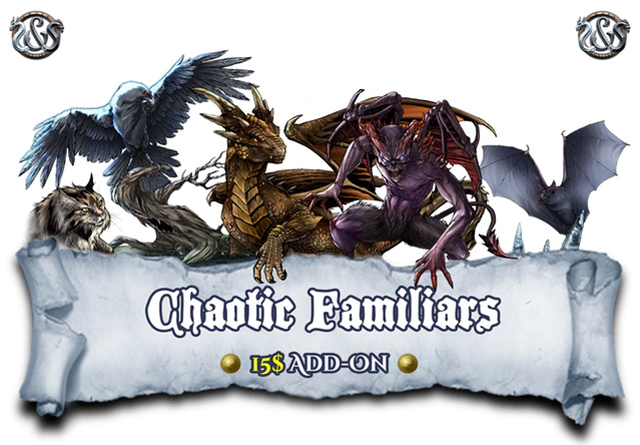 But two sets of them, Lawful Familiars and Chaotic Familiars, are presented in the Kickstarter campaign as Add-Ons, each of them with five different familiars. 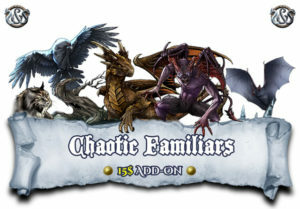 Familiars: the set of five Chaotic companions. There are three different kinds of familiars: Domestic, which players can buy in cities; Magical, which can be found during the adventures; and Divine, which can be found thanks to a Venture. While Familiars are not as physically strong as companions, they provide help to their hero, and are sneaky enough to be hard to target from enemies – but players must be careful, losing a familiar can have dire consequences for the Hero. The Lawful Familiars set presents the Dog (Domestic), the Boar and the Owl (Magical) and Pixie and Lizard (Divine), while the Chaotic set features the Cat (Domestic), the Crow and the Bat (Magical), and Imp and Drakeling (Divine Familiars). The sets include the figures and card for each familiar and a Venture. 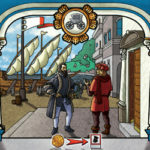 The Bond cards introduce a new mechanic in the game. Two Heroes (and sometimes more) can have, or create, a bond which goes beyond normal camaraderie - love, brotherhood, or just that special bond between two Heroes which make them a legend. These cards are quite different from normal powers, as they rely on the presence of the bonded Hero to be triggered. Read more in the update 23. 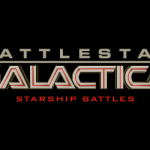 The boxed expansion Myths of the Arena. 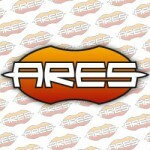 An expansion to offer endless challenges for Heroes of any Soul rank, thanks to 4 different playing modes. 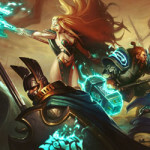 Myths of the Arena can be used as a side-quest campaign ("Gods of the Arena") with 4 scenarios, in addition to 3 more "combat-oriented" playing modes. Myths of the Arena is also a cross-over with Black Rose Wars, including Cerberus, a mythic creature from that world, in two different versions - a red Enemy or a Master enemy. 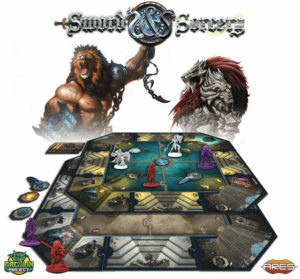 The box also features another enemy, the Nemean Lion, in two versions; 15 cards, 12 map tiles and tokens. It can be played in the Ancient Chronicles campaign, but it is also completely compatible with Immortal Souls. 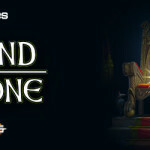 Read more in Update 14. New heroes can be added to the game as optional add-ons – the Alternate Hero Pack and four Special Hero Packs. 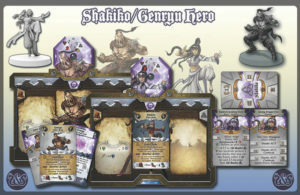 The Alternate Hero Pack presents 5 fully playable Heroes – miniatures, Soul Gems, Deluxe Hero Sheets and Hero Power Cards and tokens - to use an alternate version of the Heroes present in the Core Set. They can also be used to play with two Heroes of the same class (or with the two different versions of the Hero) in the same game. This pack also allows to customize each Hero using a different "Traits" card (included with each Hero in Ancient Chronicles) or a different "Background" card (from the appropriate deck). 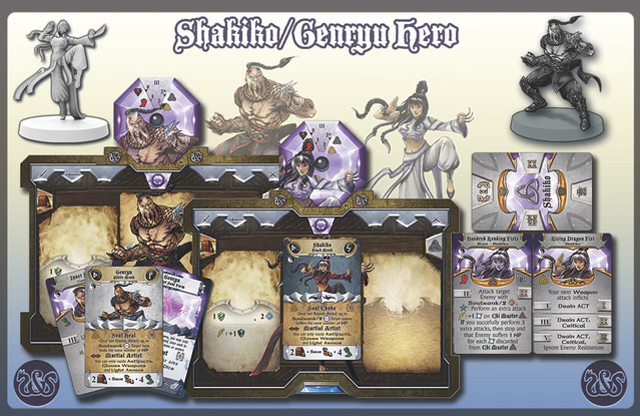 Shakiko and Genryu heroes: female and male characters with similar gameplay. The Special Hero Packs allows to play with more heroes. There are four of them, which correspond to two pairs of heroes presented as a female and male character: Shakiko (female) and Genryu (male), can be played as either a White or Black Monk. They are powerful fighters, who dominate the battlefield using the power of their Chi. 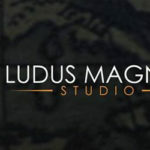 Transmigration, spiritual powers, martial arts and special attacks will offer a completely new combat experience. Sigrid (female) and Sigurd (male), from the Northern Lands, can be played as either a Thane (a warrior of exceptional strength and constitution, who can also draw upon mystical powers to throw lightning and flame against his enemies) or a Skald (strong and valiant, but also able to inspire and lead his companions with war-chants and mystical lyrics). 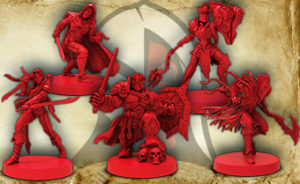 Other optional add-ons are the sets Ghost Soul Heroes and the Alternate Hero Ghost, which feature five ready-to-play Hero miniatures, to use to represent the Ghost Soul Form of the Heroes, or as painter's sets.